Electrical and Computer Engineers (ECEs) have made some remarkable contributions to our world; we have pioneered the invention of smart phones, computers, smart grid, digital cameras, MP3-players, GPS systems, medical imaging devices, and computer games, just to name a few among seemingly countless technological innovations. As ECEs, we also play a crucial and indispensable role in the design of cars, airplanes, spacecraft, autonomous and even extraterrestrial vehicles, home appliances, bioinformatics, lifesaving medical equipment and so many other technologies that we have come to rely on. Once considered as distinctly different fields, electrical, electronics and computer engineering are now inseparable from each other due to complexity and scope of today’s challenges that rely on these areas. Therefore, at Rowan, we see Electrical and Computer Engineering as one well-integrated discipline. We believe that – to address tomorrow’s challenges – today’s engineers must be well-versed in both areas that were traditionally seen as separate fields. This is why we offer one of the few combined Electrical and Computer Engineering degrees available in the nation. Our ECE program is accredited as a combined program by ABET (the agency that accredits all engineering programs in the US and worldwide), indicating that the program meets the accreditation requirements of both electrical and computer engineering. 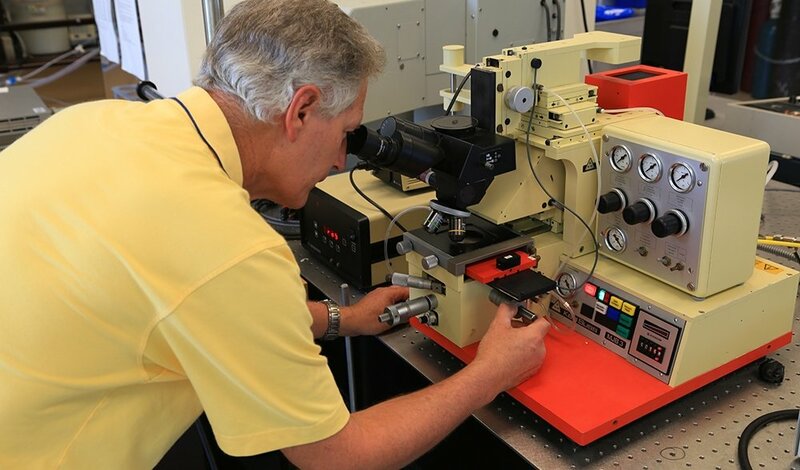 As a result, the Rowan ECE curriculum combines both electrical engineering topics such as electronics, control systems, digital signal processing, telecommunications, and energy as well as computer engineering topics such as computer hardware & software design, microprocessors and embedded systems. 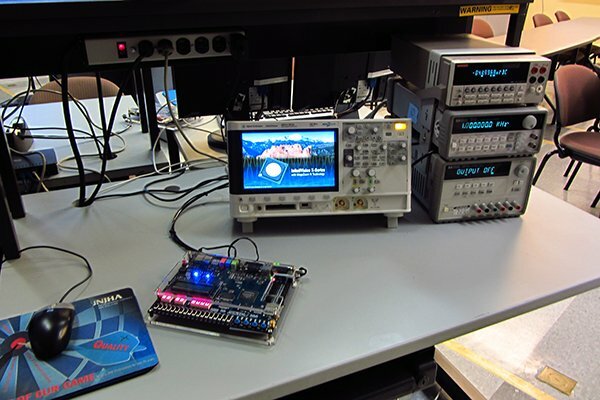 Core courses taken by all ECE students include such topics as circuits, electronics, electromagnetics, digital design, microprocessors, control systems, communication systems, digital signal processing, data structures, computer architecture and very large scale integration (microelectronics). Advanced senior-level electives provide opportunities to specialize in areas such as nanotechnology, bioengineering, sustainable design, wireless communications, artificial / computational intelligence and machine learning, digital image processing, bioinformatics, ad-vanced visualization, and embedded systems, among many others. To learn more about the our current Curriculum, see BS in ECE Curriculum as well as the ECE Curriculum Flowchart. Rowan ECE offers a specialization in Systems Engineering, Master of Science in ECE as well as a PhD program for students who are interested in furthering their education. The Engineering Clinics in the Junior and Senior years are vertically integrated into our graduate programs. Students who have worked on real-world problems during their clinic experience, can readily expand that work into a MS thesis, and work with clinic students while working towards their MS or PhD degree, significantly reducing the duration to completion that would otherwise be needed for background education. More information about our graduate program, please make sure to visit our Graduate Program and Curriculum page.